Keeping our brains active may help reduce the chance of having dementia. What if you could reduce your likelihood of having dementia with a few simple activities? We have the opportunity every day to improve our brain health and ward off cognitive decline. In recent studies, doctors have found that keeping our brains active helps to reduce the chance of having dementia. From reading to playing chess, participating in a few activities may just be what you need to keep your brain functioning at an optimal level. Stimulation – that’s what the brain needs. Whether it’s a game with a friend or reading in solitude, you can stimulate your brain and improve focus, concentration and memory all in one. Exercising your brain starts with a healthy mind diet, so as you take part in a brain-improving activities, it’s important to eat foods that are high in good fats and vitamins like fish and nuts. You’ll also want to eat more leafy greens which will give you a head-start on improving your brain health. That’s right. 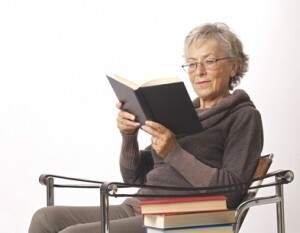 Improving your brain is all about reading more. Whether you enjoy long novels, mysteries or science fiction, reading can help stimulate your mind and improve your brain health now and in the future. Improving your cognitive function also means staying mentally active with learning new material. It’s never too late to learn a new language, and the challenge can help stimulate your mind. Try other mentally challenging activities such as completing a crossword puzzle, mastering memory games and learning more about your favorite subjects. All work and no play will make your brain tired. You can improve your brain health by having fun and socializing with friends. Join a club, volunteer for a worthy cause or take dance lessons. In a recent study, participants who had the most social interaction experienced less than half the rate of memory loss than people who rarely socialized. Seize the opportunity to play chess with a friend, go out to a movie or communicate more with people from your workplace. It doesn’t take a lot to improve your brain function. If you enjoy reading, do more of it. If you like singing, dancing and playing games, do as much of those things as you can. Whatever you do, don’t cut yourself off from the outside world or spend your life in front of the television. Make your brain happy and healthy by doing more things and staying mentally active.